IRON COUNTY — An early morning drive to watch the sunrise ended in disaster Sunday when a man rolled his car off a cliff and into a ravine and then had to walk 6 miles to get help. 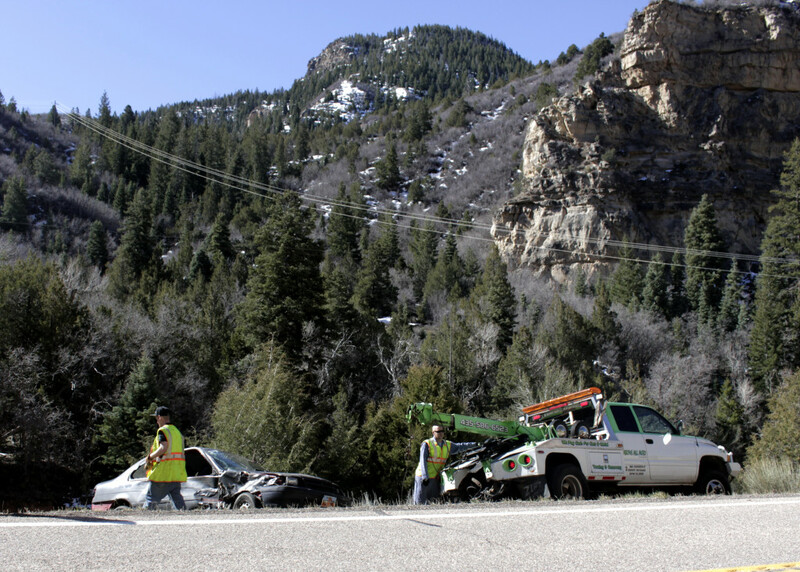 The driver of the 1994 Toyota Tercel, Gentry Simpson, was westbound on state Route 14 when he lost control of his car while going too fast around a bend forcing him into the ravine between mileposts 6 and 7, Utah Highway Patrol Trooper Dan Nielson said. “He went off on the right side of the road as he came around the curve,” Nielson said, adding that Simpson overcorrected to the left causing the Tercel to cross the centerline and flip onto its right side before rolling off the 10-foot embankment where it ultimately landed by a tree near the water below. Simpson was traveling above the posted speed limit advisory for the area, which is 40 mph, Nielson said. Simpson was alone in the car at the time of the crash. Though the crash took place before 7 a.m., Simpson was unable to get help for hours. Everything happened so fast, Simpson said, all he could do was close his eyes and hope he made it. When he opened them, he was still alive but stuck at the bottom of a ravine with no cell phone service. 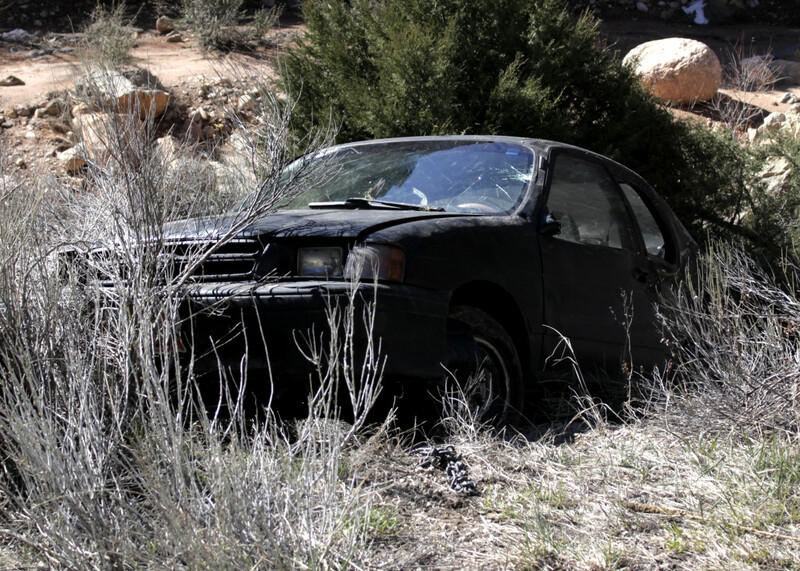 Making his way out of the Tercel through the passenger side window that shattered against the tree, Simpson said, he began the long journey down the mountain with hopes that a good Samaritan would pick him up along the way — no one did. Once at the bottom of the canyon, Simpson was able to contact his girlfriend, who took him back up the mountain to find his vehicle, said Iron County Sheriff Deputy Thomas Byrd. 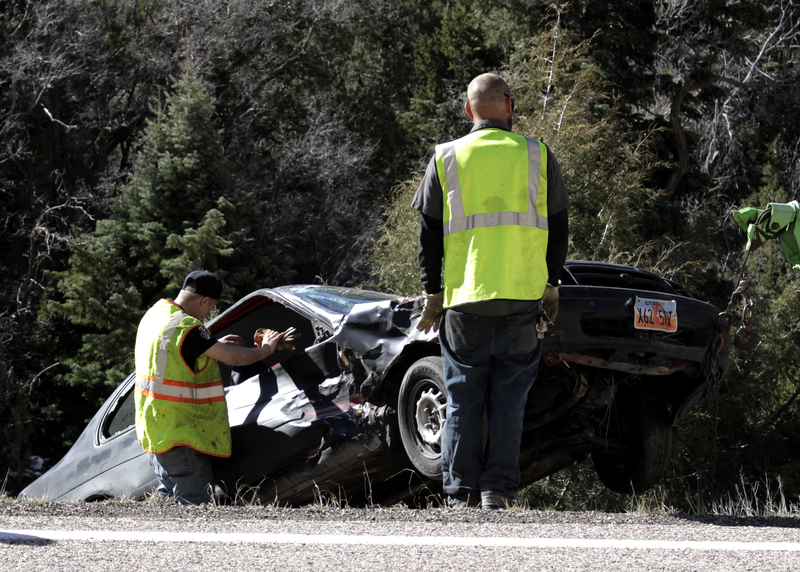 Byrd hadn’t been dispatched to the scene but said he came upon Simpson and his girlfriend on the shoulder of the roadway where the accident occurred, and they made him aware of what had happened. 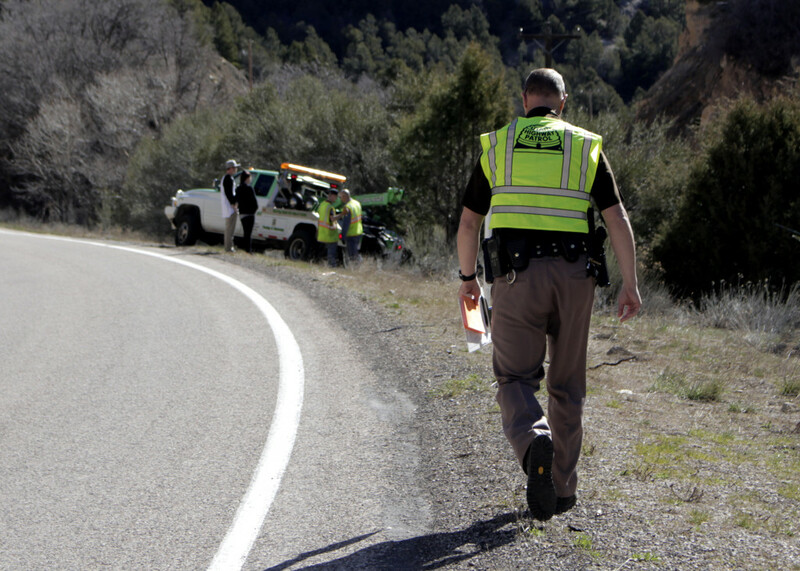 At that point, the incident was assigned to Utah Highway Patrol. Nielson said that even though Simpson was covered in scratches, bumps and bruises, he appeared to be relatively uninjured from the ordeal and refused medical care. Simpson said he had driven to Navajo Lake to watch the sunrise because he recently started a job that requires him to wake up early, and he is working to adjust to the new schedule. His girlfriend was still sleeping, he said, so he slipped out alone. The magnitude of the crash hadn’t sunk in, Simpson said, adding that it still felt unreal. Simpson was issued a citation for speeding too fast for conditions, Nielson said. Ed. note: This report first published April 3. 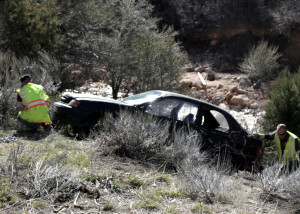 Republished April 4 with sequence of Simpson’s contacts following the accident clarified. Seems like if no other vehicles are involved and no one other than him acquired any injuries that a ticket is unnecessary. He already lost a car and his insurance rate is going up and you are going to give him a ticket too? You only get a pass on a ticket if there is a cooked baby involved.